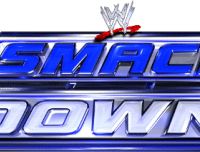 Twenty-four days before WrestleMania and two days before WWE Roadblock, the 864th edition of WWE Thursday Night SmackDown came to you from the BMO Harris Bradley Center in Milwaukee, WI. The night after Fastlane on RAW, two extraordinary Superstars joined forces to create a formidable new tag team when Chris Jericho and AJ Styles put their differences behind them and formed Y2AJ. This new duo looked poised to soar to the top of the tag team division in no time, having secured a shot at the WWE Tag Team Titles just a couple of weeks after their formation, but after coming up short in their title match against The New Day this past Monday night on RAW, Chris Jericho would betray his tag team partner, leveling AJ Styles with three Codebreakers, leaving “The Phenomenal One” out of it in the ring! With the world wondering why Chris Jericho would betray his tag team partner, “Y2J” would be on SmackDown as Jericho would explain his actions. Sami Zayn & Neville def. Kevin Owens & The Miz by Sami Zayn pinning The Miz following the Helluva Kick. Brie Bella def. Summer Rae by submission to the Yes Lock. Sheamus & King Barrett (with Rusev) def. The Lucha Dragons by King Barrett pinning Sin Cara following the Bull Hammer. 8-Man Tag: Dean Ambrose, Dolph Ziggler, & The Usos def. The Wyatt Family by Dean Ambrose pinning Erick Rowan following Dirty Deeds.